Plug in 60 W Pistola Termica Glue Gun. Load the glue sticks into the back of the glue gun. Press trigger several times until the glue stick is firmly set into the inlet tube. Allow the glue gun to warm up for approximately 5 minutes. Squeeze trigger until glue flows from nozzle. Glue need not to be spread. Press surfaces together within 15 seconds. Use of clamps or other bonding devices is not necessary. Clean surfaces for best bonding. Unplug 60 W Pistola Termica Glue Gun when finished. No clean up required. Never pull the glue stick up out the back of the glue gun. Ningbo Kingvos Electrical Appliance Co.ltd is established in 2008, which is located in Dongqian Lake Industry Area Ningbo China. It is a large company which integrates manufacturing industry and trade. The main products are TRAVEL ADAPTER, GLUE GUNS and LIGHTING products. 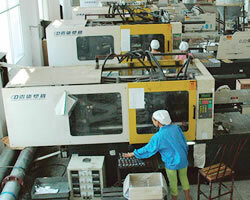 They are all equipped with most advanced manufacturing facilities in China. The company owns the license of self-import and export, and ISO9001 international quality system certificate, CE certificate, CCC certificate, GS certificate, VDE certificate, CB certificate, TUV certificate and UL certificate etc. As a manufacturer, our, combination of engineering support, guaranteed quality, standards certification, on time delivery and competitive prices will make our partner be more competitive and ahead with their competitors. Ningbo Kingvos is your right choice for purchasing & developing quality goods in China. Work with us, be stronger, dominate the future.